Hope you are all having a fabulous weekend so far. Today i'm participating in another fun DeNami Design Blog Hop! Hopefully you are all coming here from the wonderful blog of Annette Holleger. If not, then just click HERE to start at the beginning and also to get all of the details on how you can win a $20 gift certificate to the DeNami Design website. 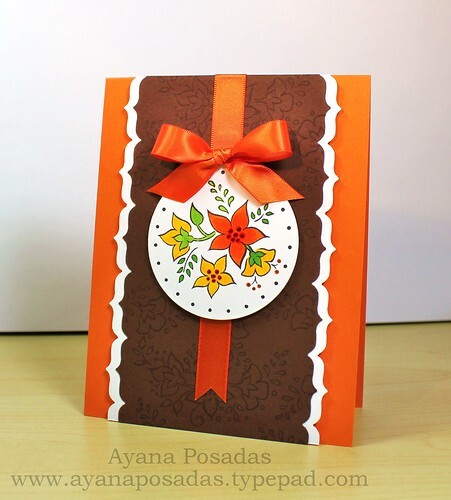 My project for today is this Fall theme card that I made using the lovely Elegant Floral Circle image along with the Elegant Floral Arch stamped lightly in the background. I just love these two images and how "classy" they both are. 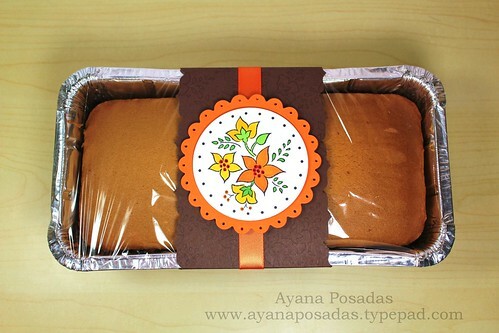 In addition to my card, I also decided to share one of my favorite types of deserts during this time of year, which is this Pumpkin Bread! Yummm!!! 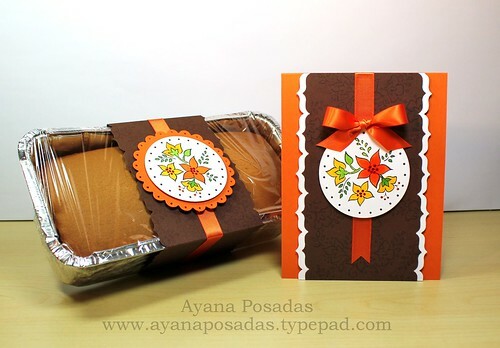 I usually like to make this pumpkin bread for my family & friends during the Fall season. If you like the taste of pumpkin, you should definitely try this recipe. It's super easy to make and it's very delicious! 2) Place all ingredients together in a bowl & mix until smooth. 3) Pour mixture into three 16” loaf pans that are greased and dusted with flour. 4) Bake for 1 hour at 350 degrees Fahrenheit. Be sure to check her out next, along with the various other fabulous bloggers who are participating in today's DeNami Hop. And don't forget to leave lots of comments too, in order to get your chance at winning a $20 gift certificate! Thanks so much for stopping by today! Hope you all have a fun weekend!!! !